The Lecturer will be responsible for teaching in mission and contextual studies, ensuring that courses are developed and delivered in ways that are faithful to the Gospel of Christ, culturally incisive, and grounded in a biblical understanding of God’s missional purposes for Aotearoa New Zealand, the nations of the Pacific region, Asia and the world. They will also be actively involved in the College’s community and will lead the College’s Centre for Cross Cultural Mission (C3M). This position is a permanent full-time (1.0 FTE) position. 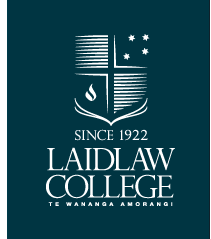 Please email your CV and cover letter to Natalie Tims, Human Resources Manager, at ntims@laidlaw.ac.nz to register your interest and request an application pack. Application packs include an application form related to your previous experience and theological principles, a Statement of Faith and a five-year Professional Development Research plan. Application packs must be submitted by Friday 2 May, 2014. You can read the Job Description here.